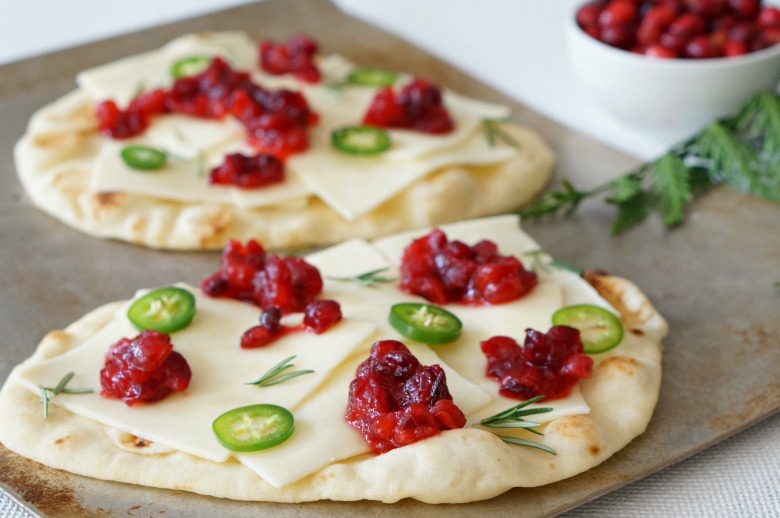 Our Spicy Cranberry Flatbreads liven up the appetizer spread at any holiday gathering, with the perfect combo of spicy, sweet, tangy and salty flavors. It’s also the perfect way to use up leftover cranberry sauce from Thanksgiving dinner! 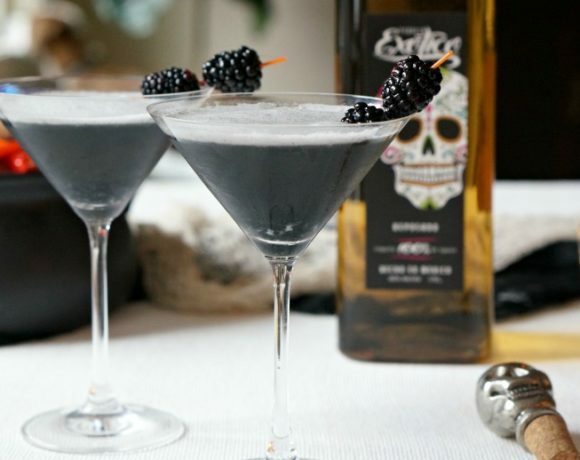 “Ooey-gooey” might be one of my favorite ways to enjoy food. I get excited when food is set down from me and I stick a fork in it or pull out a slice and the cheese slowly pulls apart in thick and creamy strands… that’s when I know I’m winning at life. Yeah, I know. I may have different life goals than most. 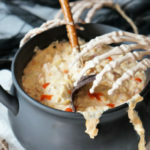 But one thing I’m certain of – whenever I serve an “ooey gooey” dish to my family and guests, I get rave reviews. 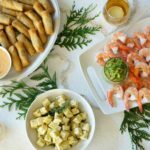 With the holiday season kicking into high gear, entertaining, cooking and feeding a crowd is commonplace. 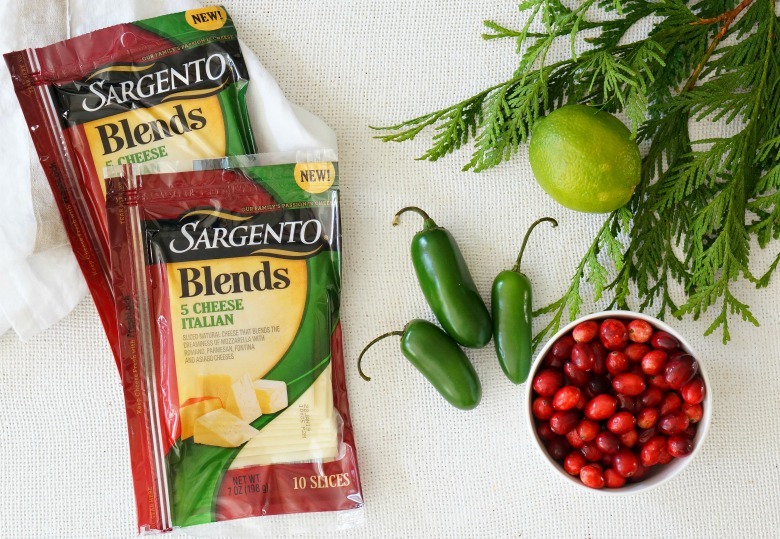 Meaning, I’m creating some fun and new ways to enjoy some of my favorite ingredients, like Sargento® Blends™ 5 Cheese Italian Slices that I recently picked up at my local Harris Teeter. Blending the creaminess of Mozzarella with Romano, Parmesan, Fontina and Asiago cheeses, my favorite cheese varieties come together in one all-natural slice. And, did I mention how perfectly it melts for the best “ooey-gooey” goodness a gal could ask for? 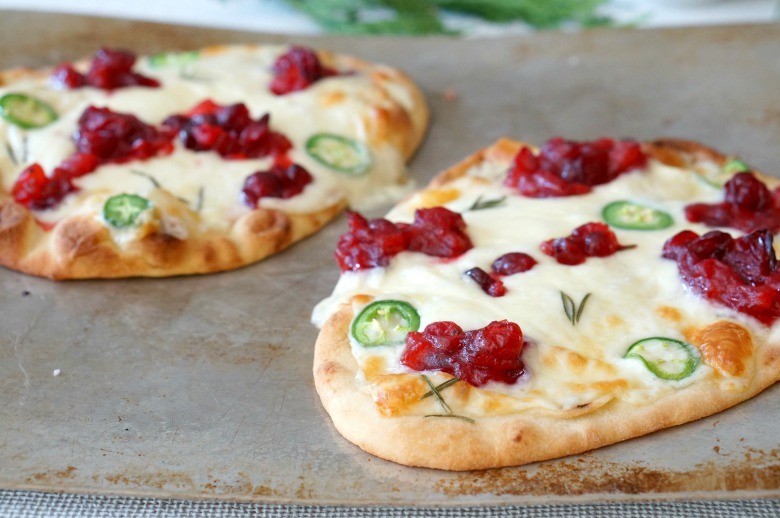 Whether you need the perfect party app for Thanksgiving or for holiday entertaining, or you just want a creative way to combine the best of the season’s flavors in a creative meal for the family, you’ll love these Spicy Cranberry Flatbreads. 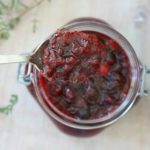 While I like to make the homemade cranberry sauce with a little kick from chilis for these flatbreads, you can also use extra cranberry sauce from your turkey dinner for the perfect leftover supper. I won’t tell! 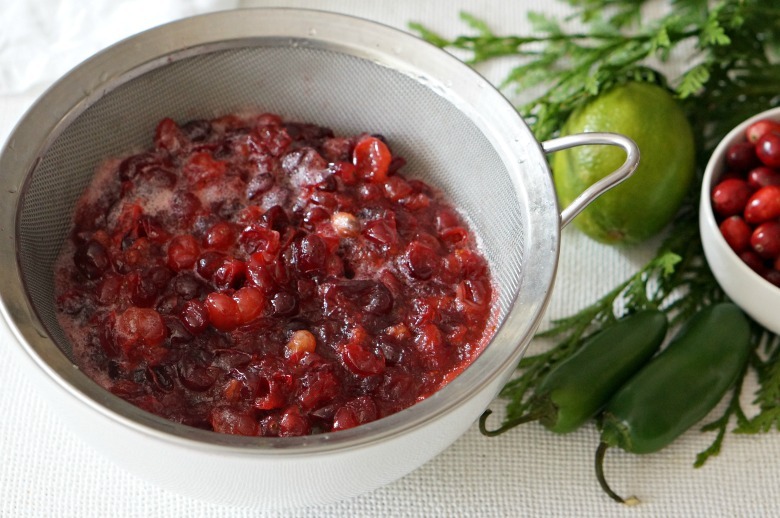 If you have leftover cranberry sauce, use it! 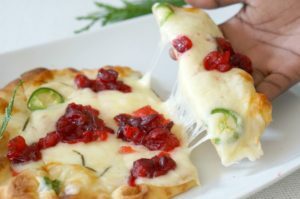 Otherwise, this spicy cranberry sauce is quick to make and packs the perfect kick to complement the creaminess of the cheese in the Spicy Cranberry Flatbreads. In a large saucepan, combine water, orange juice, and sugar over high heat. Stir until the sugar is dissolved and the mixture comes to a boil. Add the cranberries and return the mixture to a simmer. Reduce the heat to low and let it simmer, stirring often, until most of the berries have burst and the sauce has thickened. Remove from heat and stir in the chopped jalapeño, lime zest, and salt. Transfer to a bowl and allow to cool before refrigeration or use in the Spicy Cranberry Flatbreads recipe. Before using the cranberry sauce on top of the flatbreads, spoon it into a sieve and drain excess liquid out. Discard. Dollop spicy cranberry sauce on top, by the tablespoon full. Sprinkle with fresh rosemary. Bake for 10-12 minutes, or until cheese is, well, ooey-gooey! Our Spicy Cranberry Flatbreads liven up the appetizer spread at any holiday gathering, with the perfect combo of spicy, sweet, tangy and salty flavors. 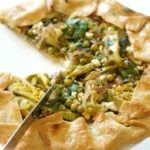 It's also the perfect way to use up leftover cranberry sauce from Thanksgiving dinner! In a large saucepan, combine water, orange juice, and sugar over high heat. Stir until the sugar is dissolved and the mixture comes to a boil. Add the cranberries and return the mixture to a simmer. Reduce the heat to low and let it simmer, stirring often, until most of the berries have burst and the sauce has thickened. Remove from heat and stir in the chopped jalapeño, lime zest, and salt. Transfer to a bowl and allow to come to room temperature before refrigeration or use in the Spicy Cranberry Flatbreads recipe. Spoon the cranberry sauce into a sieve and drain excess liquid out. Discard. Dollop Spicy Cranberry Sauce on top, by the tablespoon full. Sprinkle with fresh rosemary. Bake for 10-12 minutes, or until cheese is, well, ooey-gooey! 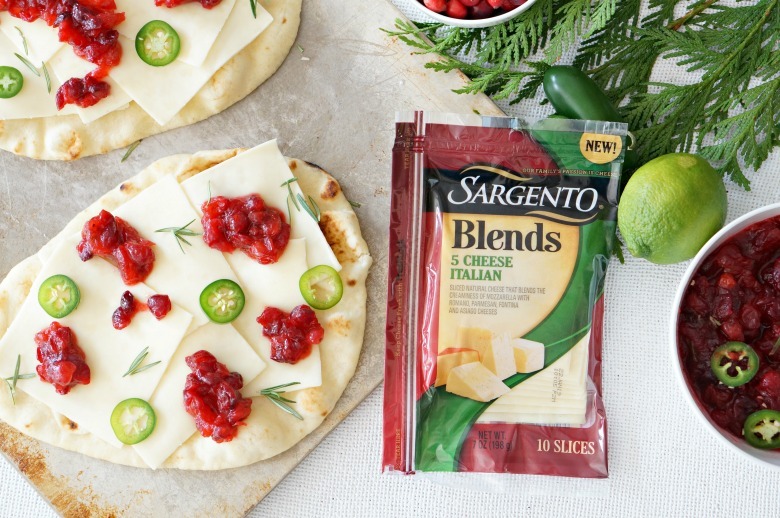 You can find all of the ingredients for the Spicy Cranberry Flatbreads, including Sargento® Sliced Cheese at your local Harris Teeter. 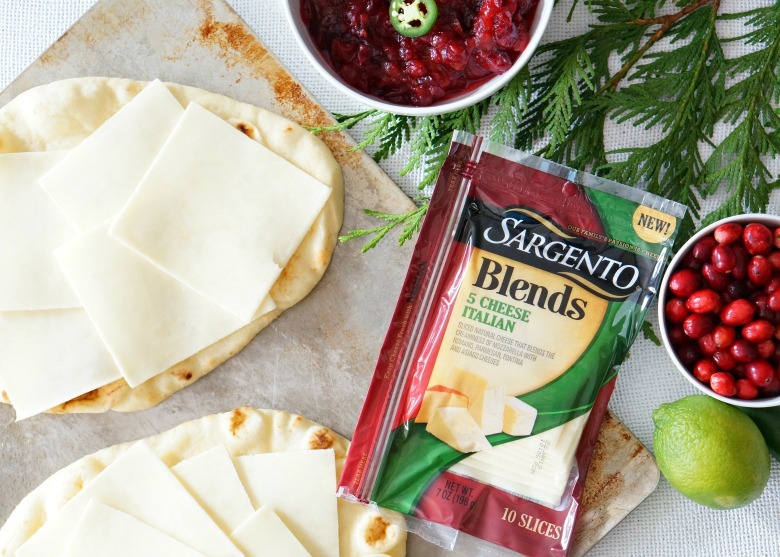 From 11/1/18 – 11/31/18, you can save $0.75 on ONE (1) Sargento® Sliced Cheese at Harris Teeter (must be redeemed by 12/31/18) with this coupon. Every little bit helps during the holiday season, right?! ?